I was invited to the BVLGARI launch of the DIVA collection of jewel and was fascinated by their new line as we were ushered to the Orchid Conservatory, Hotel Majestic to view the collection.
" The Diva campaign expresses a modern take on the Roman Dolce Vita hedonism. 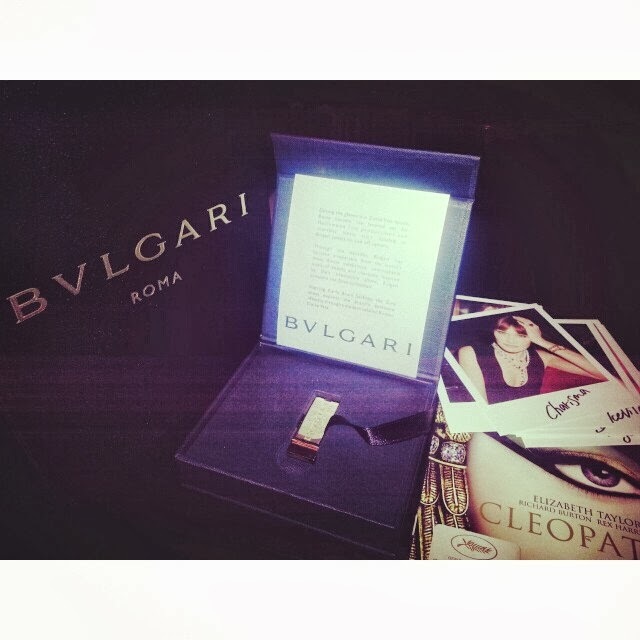 The vibrant portfolio of stunning images depict the contemporary and dazzling BVLGARI lifestyle showing the complete Diva product assortment. " While I was there, I managed to try on this piece which is my favourite. Btw, I think their latest collection screams Jasiminne of Posh, Broke and Bored, don't you agree? hahahahahah! ok. come back then we go DIVA or Forever 21! Enter to get a FREE Gift!